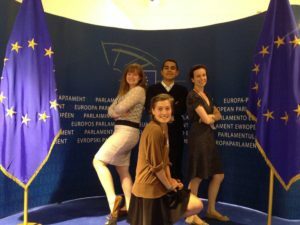 Diana first heard about WYA at a conference on the “Freedom of Women” at the European Parliament. After a brief encounter with then WYAE intern, Cono, she was encouraged to read the charter and to become a member. 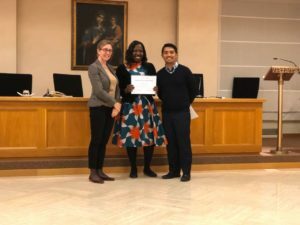 Diana eventually joined a local chapter in London where she was able to attend chapter discussions, as well as a conference on Maternal and Child Health, and HIV in Rome of 2012. She joined an internship batch in Brussels by 2014 and lent her assistance at the United Nations during the 47th session of the Commission on Population and Development at the closure of the MDGs. 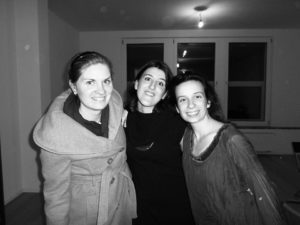 As the Chapter head of the WYA UK Chapter, the highlights of her involvement had been hosting the first European FEMM teachers training, presenting at intercollegiate halls of residence and working with great young people such as Patricia de Lara (a Master in Public Health who introduced the the Reproductive Health and Research Institute to FEMM), Mafalda Pereira (a Master in History of Art who has served the European Arts Forum as a judge and consultant for 2 years), and Clara Watson (a contributor to WYA’s research for the white paper in surrogacy). 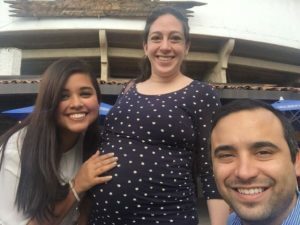 Recently, WYA UK has started research on social and economic policy barriers to carrying full pregnancies in order to develop targeted assistance and policy solutions for women who consider abortion as their only option against a life of deprivation, missed opportunities, and unfulfilled potential. 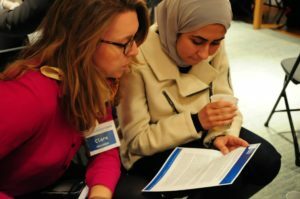 The chapter has also been working collaboratively with a public affairs organisation by sharing WYAs white papers, helping draft response commentaries to the UN, monitoring court cases, and designing policy campaigns to protect the freedom of conscience of healthcare workers which will hopefully become a blueprint for similar policies abroad. Diana’s dreams for WYA include the chance to produce white papers specific to the UK, that FEMM would become a destination for UK medical students to do their internship, and exploring the potential of the CTP as an effective educational tool to prevent radicalisation of young people who are so far away from their native home and who feel torn between their citizenship and their ethnic or religious identity or that of their extended family. When asked about the best lesson she learned as a WYA member, Diana resolutely responds, “I’m not done learning yet! Doreen joined WYA in 2012 before becoming a certified member in 2015. 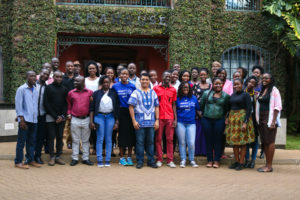 Since then, she has participated in different events such as organizing two of WYA Africa’s BBQs, helping coordinate the Emerging Leaders Conference at the Uganda Christian University, being part of the interview panel for the Vanessa Cherese Oyugi Scholarship, and even attending the CIAM-WYA Youth Colloquium in Rome, Italy. “The number one secret is to love WYA with passion. This will push members to go the extra mile,” shares Doreen when asked for a message to fellow members who want to become active as well. As the current coordinator for the WYA Uganda National Committee, Doreen hopes to bring more people onboard. 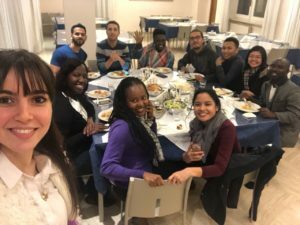 “Human dignity cuts across all regions and even with differences, we are one great family of human persons.” According to Doreen, she sees WYA as the voice for the youth’s being and existence. 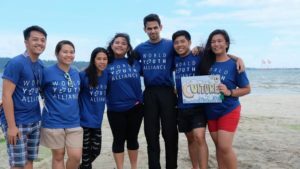 “To me, World Youth Alliance is a Home,” shares Rogin. 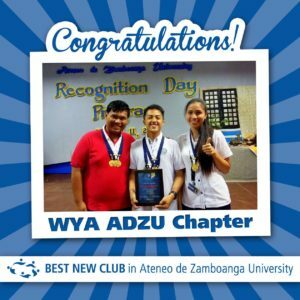 Having began his WYA journey as a participant in WYA Asia Pacific (WYAAP) Summer Camp in 2014, Rogin was so inspired with his experience that he established the WYA Ateneo de Zamboanga University Chapter with three other summer camp alumni. The club went on to be awarded as the Best New Club for that year. 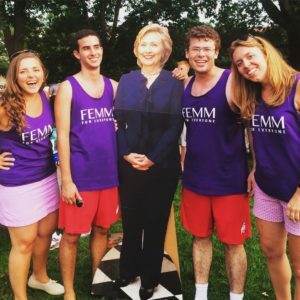 After graduating in 2015, Rogin underwent the regional internship with WYAAP before joining succeeding summer camps as a facilitator. 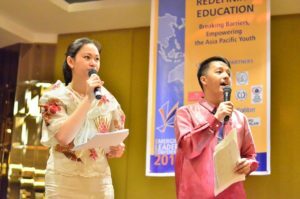 Over the years, he has hosted for the Emerging Leaders Conference twice and represented the Philippines with WYA at the 2017 Global Youth Trends Forum Youth Initiatives for Sustainable Development in Taiwan. 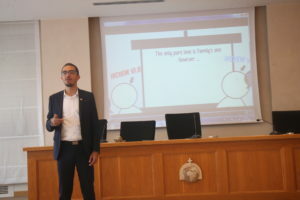 Despite his many involvements with WYA, Rogin shares that what really started everything was the moment when he became fully aware of how the proper understanding of the foundation of the human person could spark a fire within and create a history. Ana first encountered WYA in 2005 as a participant in the International Ethics Forum organized by WYA in Mexico. 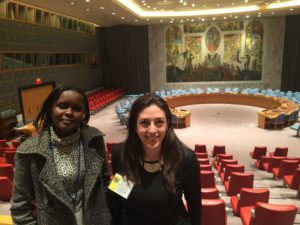 After a year, she was invited to participate in the Commission for Social Development (CSocD) at the United Nations. She opened a chapter in Queretaró, Mexico with friends upon returning. 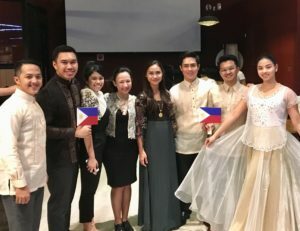 Although the chapter was only active for 3 years, Ana was able to finish her CTP and represent WYA in the youth caucus for the government in trying to develop proposals for the family’s promotion and protection during such time. 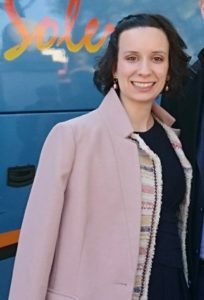 She became a delegate in the International Solidarity Forum (ISF) in 2007 as well as a representative for WYA in organizing the Youth Congress DEMENTE JOVEN in Mexico. 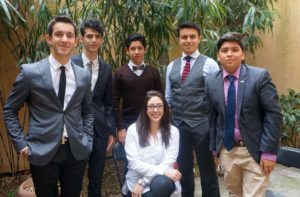 Now, as a teacher by profession, she shares WYA through helping her students work on the CTP and bringing them to events like the Panamerican Forum in Argentina and the ISF in 2016-2017. With a baby on the way this year, she continues her participation with WYA by opening a project with the art teacher of their school. She shares that their project for the ISF will be a surprise for this 2018. In sharing her dreams for WYA, one of Ana’s hopes is to gather more members that do not only sign, but also act. 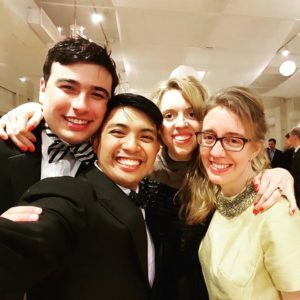 Clare’s WYA journey began a little bit different than most having joined a day or two after the organization was founded. She sees WYA as being greatly formative in her life, from participating in an art competition called Jubilatio! when she was twelve to spending summers interning for WYA during high school. At the time, she underwent her internship at “the Pogue” – the now infamous cockroach-infested building were staff and interns lived before the WYA house. 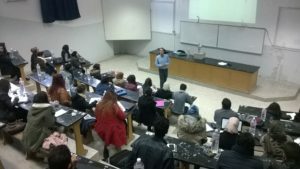 She went on to attend the annual International Solidarity Forum in March as a university undergraduate as she knew that it would give her the information and education needed to understand and respond to the debates at school. Clare worked in the film industry in New York for a couple of years before becoming the Director for WYA North America for two years. 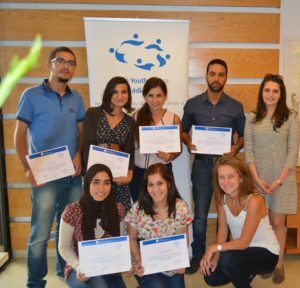 The awarding of the Viktor Frankl Award will be held on March 8 at the WYA Headquarters. It is through your constant support that we are able to help young people pursue great opportunities and nurture their potential. We ask you to join us as we continue the mission of empowering young people all over the globe. Give WYA a gift today or contact our regional office to make a donation.